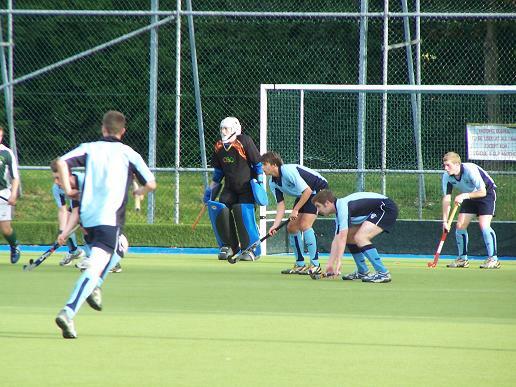 Monkstown II need a point from their final match of the season against reigning champions Pembroke Wanderers II to take the title after they beat Glenanne II on Tuesday night in a roller-coaster game 4-3. Ian Horsfield scored the winner from a corner after earlier leads created by Eoin O’Connor, Simon Allen and Sam Prentice. Long-time leaders Corinthian lie three points back and will need to beat UCD II to have any hope of taking the title. Should they pull level, a playoff will be required to decide the title. Barring league restructuring, it looks as if relegation will not be an issue this year with sixth third elevens leading the way in division four. YMCA II and Three Rock Rovers II will face off for the Railway Cup later this month, though the date is still to be confirmed. The final was initially down for April 19 but was moved forward due to the delayed interpros. This apparently did not suit so the fixture will be re-arranged once more. Corinthian III look home and hosed in this one with a three point lead and a game in hand though they have wobbled a little in recent weeks with a loss to Glenanne III and a draw with Clontarf II. Should the reds hold on, though, it would mean Keith Fishburne retains the title having won division four with the Glens last year. A tricky run-in with trips to Three Rock Rovers III, Weston II and Mullingar need to garner four points to hold off the intentions of Pembroke III. Weston II and Kilkenny II are cut adrift at the bottom of a 13 team division. St Brendan’s Phoenix Park – led by All-Ireland football winner Dessie Farrell – are in the box seat. They are currently tied on 44 points wi th holders Three Rock Rovers IV but have a game in hand and home advantage on grass against their nearest rivals. Thus far, Brendan’s have been near impregnable on home turf with just three goals conceded. Pembroke IV are three points back but have just one game left to play. Railway Union IV and Bray II occupy the bottom placings. St Brendan’s already have silverware in the bank, after they serenely rode through the Intermediate Cup, beating Fingal III last weekend 3-1. Dublin University III continued their remarkable rise through the divisions having resided in the old division ten less than a decade ago. 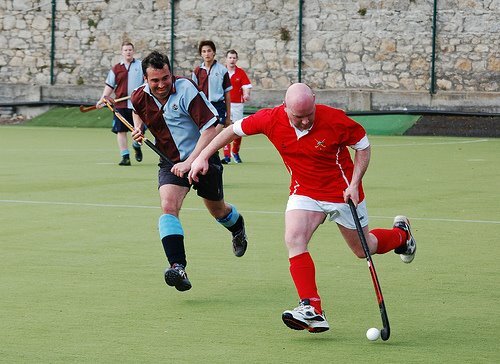 They won division six with a 5-0 win over Glenanne IV last Saturday with old heads like Alan Bell, Cian Denham and former Villiers’ man David Adley still forging a career with the students. Fingal III will finish second while Three Rock Rovers V and Weston III look set for the drop. John Lynskey’s Navan II are another side on the rise as they claimed division seven thanks to their 4-3 win over second placed Corinthian V at Whitechurch Park on Saturday. At the bottom, Bray III look set to finish last while Smithfield will need at least a point from their last game to escape ninth. An incredibly tight division sees Kilkenny III and UCD III go toe-to-toe for the divisional title as well as contesting the Junior cup final on April 19. Both have tricky away days to come in their closing fixtures with the students attempting to breach St Brendan’s Grangegorman fortress while the Cats must travel to Wicklow on April 25. Wicklow prop up the table but have a decent home record to date. 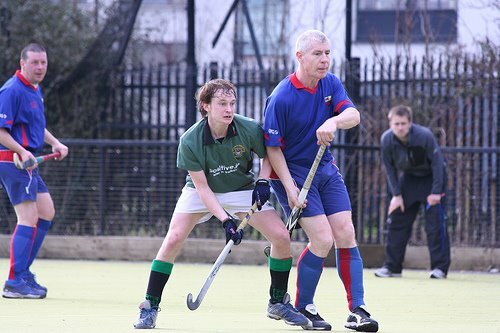 Glenanne V became the first league winners when they took the title in March thanks to their 3-0 win over Navan III. The Minor Cup final sees South East Wanderers II play RCSI – both non-league sides – on April 19. In the Walters Cup, Glenanne await the winner of UCD and YMCA while the Galtrim Cup is at the semi-final stage with Naas to play St James’s Gate and Glenanne playing Monkstown.